The processing time is the number of days we will take to ship the item after receiving your cleared payment. This includes order verification, item manufacturing, quality check and packing. This does not include the number of days the shipping service will take to deliver the item to you. 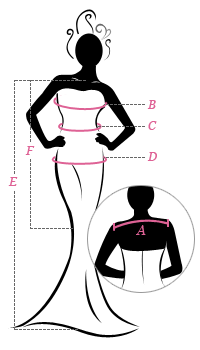 Please provide detailed measurement information for customization base on "How to Measure". Please measure in bare feet. Create a profile account now. Just recived my dress! It's beautiful and perfect and the perfect size! The peplum is so stunning. I consider the dress to be perfect and it came earlier than expected and when I tried it on I felt amazing and beautiful in it.